H.T. Klatzky and Associates used to occupy the duplex Oliver Traphagen built for himself and which he rented to Chester and Clara Congdon while Glensheen was under construction. 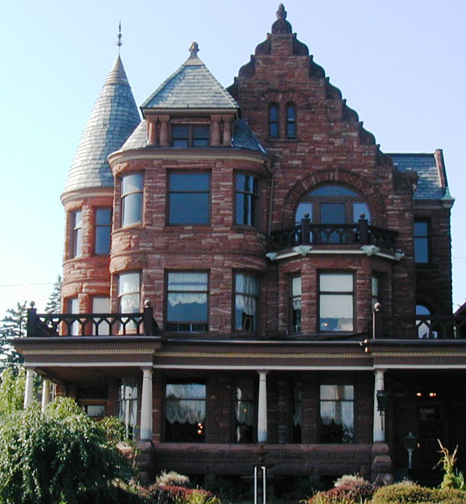 Traphagen was arguably Duluth’s best-known architect. Howard Klatzky started his then fledgling advertising agency in a few rooms of the mansion and rented apartments on upper floors for many years. Now the agency is Duluth’s largest and occupies the entire structure. Howard has been a meticulous steward of the property restoring the roof with tiles matching the original and refinishing every inch of the hardwood floors and woodwork throughout this magnificent example of Richardsonian Romanesque architecture.